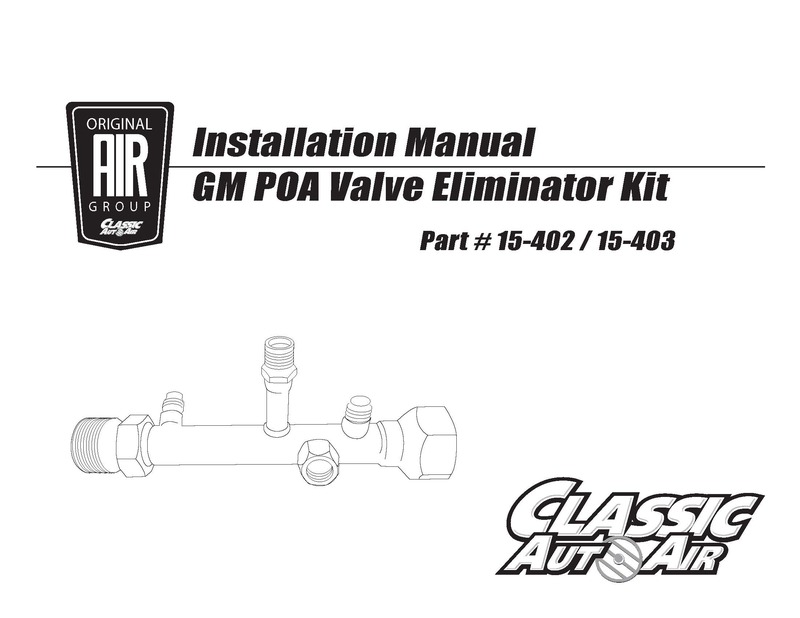 This valve is designed to replace the POA valve, converting the air-conditioning system from a pressure by-pass system to a clutch cycling system used on most modern general motors cars & trucks. It mounts to the outlet (top) fitting of the evaporator. It's purpose is to keep the evaporator from freezing up, which it does by cycling the compressor off when pressures indicate the evaporator is too cold. Can be used for all refrigerants. Ideally recommended for cars where the compressor has been converted to a rotary compressor. Note - It is not recommended for cars that have a stock A6 style compressor, as these compressors were not designed to cycle on/off regularly. Heavy use may cause premature failure of the compressor. Note 2 - Not for use on late 1974 models equipped with a VIR.